Democrats have entered the Great Expectations era. The progressives are unabashedly communitarian and social justice warriors, arriving in D.C. as a new socialism, somewhere to the left of Senator Elizabeth Warren, is ascendant. According to a Gallup poll in August, Americans aged 18 to 29 are as positive about socialism (51 percent) as they are about capitalism (45 percent), a 12-point decline for the c-word in the two years since President Donald Trump got elected. So is the ghost of Franklin Delano Roosevelt inspiring the new House to put the poor to work with federal dollars, building infrastructure and fighting climate change, all the while infused with post-millennial concepts of inclusivity and intersectionality? 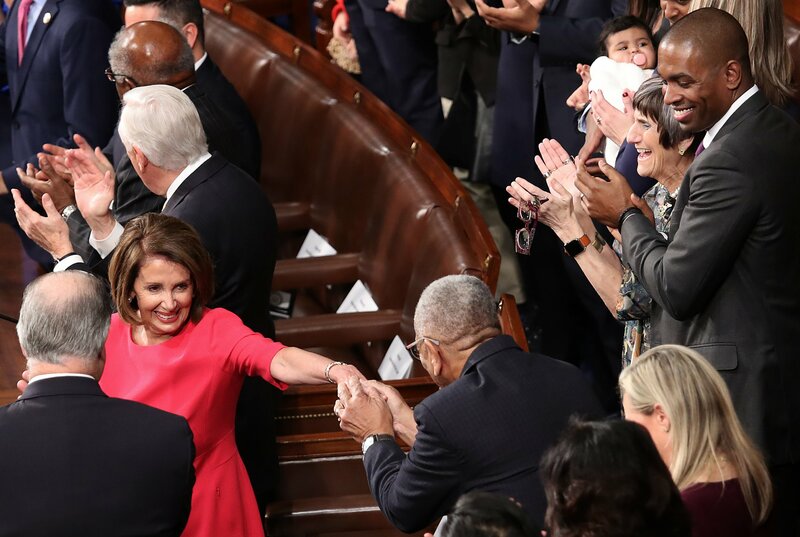 The House Democrats have an ambitious agenda that includes doing something about climate change, saving the Affordable Care Act (if not expanding it into “Medicare-for-All”), lowering drug prices, expanding gun control, funding infrastructure, saving the Deferred Action for Childhood Arrivals program, strengthening voting rights protections and, last but not least, addressing public corruption. But most political analysts—and even some of the new members themselves—put low odds on the likelihood that, if the House does pass legislation on those matters before 2020, the proposals will become the law of the land. Whatever they do must squeeze by the ­Republican-controlled Senate. And then there is that matter of the Trumpian signature to consider. New House Speaker Nancy Pelosi is already pulling some deft maneuvers clearly inspired by the demands of this left flank, sassing Trump about giving him “a dollar” for the wall while clearly aiming for a kind of bipartisanship that the House Republicans never bothered with—and that the fire-breathing newcomers might not prefer either. Steve Israel, a former House member who represented New York’s 3rd District for 16 years until 2017 and led the campaign committee charged with electing Democrats to the lower chamber, tells Newsweek the new majority will need to maintain progressive fervor and excitement while not freaking out the purple-district middle Democrats, who will need to expand their electoral power in two years. This kind of talk irritates the progressive, news-making, dancing and swearing edge of new House members, who are already forming a caucus within the Congressional Progressive Caucus (CPC). They were not sent to Washington to play by the old rules. They are not, however, the Tea Party class of 2010, with a friendly GOP leader over in the Senate (although they do have a Donald Trump to fight, as the conservatives had their Barack Obama). Nor are they the Newt Gingrich revolution of 1994, with a socialist version of the Contract With America. The closest thing the progressive Democrats have to the organization of House conservatives of yore is the Justice Democrats, a progressive, Bernie Sanders–connected PAC that takes no corporate money. The Justice Dems recruited and supported Ocasio-Cortez and successfully backed three incumbents and three other new members, for a total of seven wins, and openly hopes to build a left-wing version of the notoriously stubborn Freedom Caucus. “Whatever relationship emerges between newly elected firebrands and the CPC, a disciplined caucus with enough numbers to withhold votes as a bloc can push the limits of political possibility,” wrote Waleed Shahid, a spokesman for the Justice Democrats, in The Nation in October 2018. 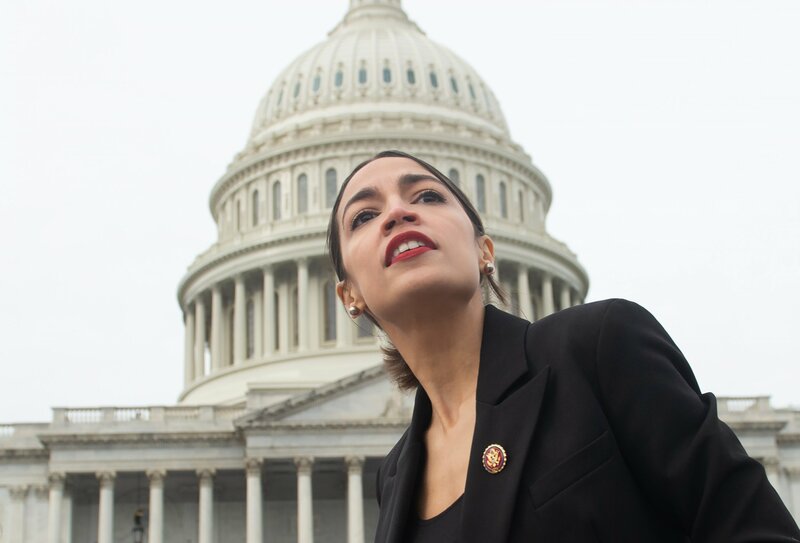 Alexandra Rojas, executive director of the Justice Democrats, acknowledges that with the Republican Senate and Trump in the White House, passing legislation could be a challenge. But changing the law is second to the aim of changing the message. “What this new majority can focus on is building a movement around big ideas that Democrats are going to look for in 2020,” Rojas says, ticking off climate change, “Medicare-for-All,” limiting corporate money in politics and ending mass incarceration. Progressives, she says, have shifted the political landscape in a short time. As an example, Rojas points out how Bernie Sanders’s run for president in 2016 made “Medicare-for-All” a common rallying cry. 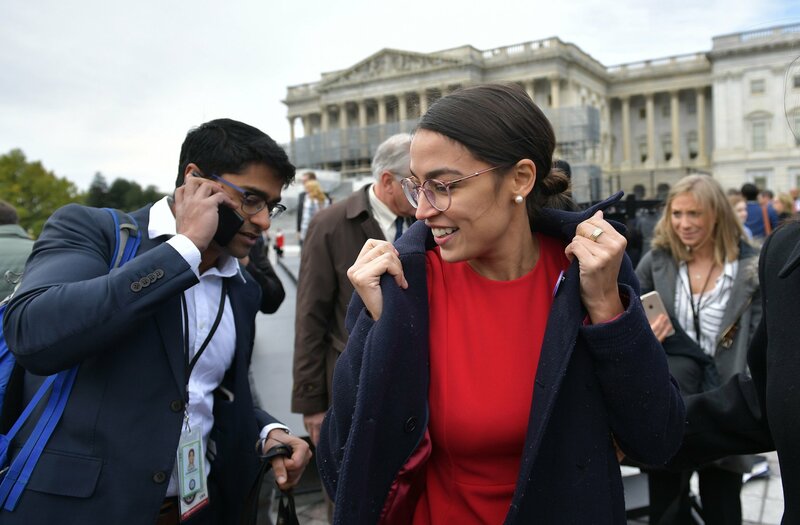 She also cited the fact that the House now has a subcommittee on climate change, prompted, in part, by Ocasio-Cortez’s activism; in December, the new representative led a protest into Pelosi’s office to demand a special committee on that issue. Of all the topics on the agenda, this is probably the single most likely one to move beyond proposal and into action, because it unifies Democrats and potentially attracts Republicans in the Senate who can be persuaded to see business opportunities in a Green New Deal. But Ocasio-Cortez went on 60 Minutes and proposed a whopping 70 percent marginal tax on annual incomes above $10 million to help pay for it. (The current top tax rate is 37 percent.) Only about 16,000 households fall into that category, mostly movie stars, hedge funds wizards and athletes, but conservatives went into full battle mode, warning that the new Democrats would soon be coming for the hard-earned wallets of regular working Americans. The jury’s still out on whether the suggestion pleased the Democratic base or frightened away independent Trump-loathers and moderate Democrats. Instead of installing a new climate committee, Pelosi offered up a “Climate Crisis” subcommittee, chaired by veteran lawmaker Karen Castor. Progressive hard-liners saw that as a sop, mainly because a subcommittee has less power. “This committee…sounds about as useful as a screen door on a submarine,” Corbin Trent, a spokesman for Ocasio-Cortez, told The Hill in early January. Castor tells Newsweek the committee’s mandate will be “pressing for urgent action” on reducing carbon while seeking bipartisan consensus for a national policy. “I think our committee will be the conscience on climate, and every bill that goes to the floor will be scrutinized about whether it sets us on the right track,” she says. 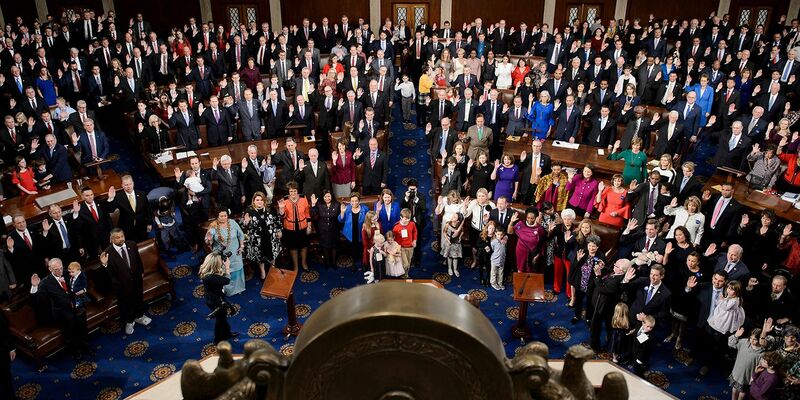 The new progressives make up a tiny percentage of the 435-member House, but their audacity has attracted a great portion of attention. It remains to be seen whether they can operate with the lockstep discipline of the right wing’s right flank. On the first day, the CPC gave in on a basic rule, called “pay-as-you-go.” Instituted by the Republicans and loathed by progressive Democrats, the measure requires every bill that would cost money to describe where that money would come from. Only three Democrats, Ocasio-­Cortez among them, voted against it. Point for Pelosi. Israel says the new speaker can not only manage the factions; she also can harness them to make things happen. She pushed Obamacare through in 2010, he says, “when everybody thought it was dead,” and she also produced enough Democratic votes in 2008 to get through President George W. Bush’s controversial Troubled Asset Relief Program, which progressives still view as a windfall for bankers.